Drilling Tools for the oil, gas, groundwater and mining industries. 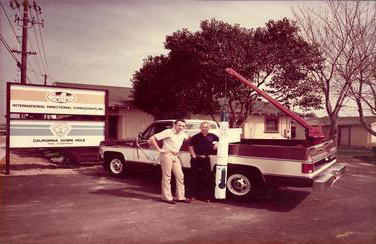 Bakersfield Bit & Tool began business as a rental business specializing in drilling tools, underreamers and section milling tools in 1980. During the first 10 years, much of our efforts were spent in R&D to develop and prove a completely new design for our conventional underreamers and section mill drilling tools. In 1990 we patented a revolutionary new design for a drilling type underreamer that can selectively be used for underreaming or drilling as needed. All of these products have proven themselves as the premier drilling tools in the industry for simplicity and down hole durability. Since the early 1990’s Bakersfield Bit & Tool has been manufacturing drilling tools for sale to rental tool companies and oil companies world wide. Since 1986, Bakersfield Bit & Tool has offered a complete line ofdrilling tools, underreamers, casing mills and services. BB&T evaluates rock bit lubricants, bearings, cutting structures and hydraulic designs while taking into consideration the extreme conditions found downhole. By analyzing the relationship of rate of penetration (ROP) to changes in hydraulics, weight, rotary speed and torque, BB&T tools can underream/enlarge a hole or mill a section faster and more reliable. It wasn’t an easy task to become a leader in the industry, but through improved product technology and customer service, Bakersfield Bit & Tool has done just that. We place our customer’s needs first and give them what they expect…the highest quality innovations and technology advancements in the industry. Advances such as the Gaugemaster underreamers, the first underreamer specifically designed to operate at high rotary speeds without sacrificing durability. It was at BB&T that the Gaugemaster G2 Series underreamer was developed, turning a great idea into an even better product performance for our customers. An idea that stemmed from our customers needs. Bakersfield Bit & Tool’s ability to listen and then interpret what a customer’s needs are is what lead to the innovation of the revolutionary G2 series underreamer. Bakersfield Bit & Tool has continued its research and development efforts to produce one of the most innovative and effective underreamer designs in the industry. Our technical service consultants and salesmen have the bit records, the product line and local expertise to give you a quick and accurate response on an AFE bid as well as a Planned Well Program. 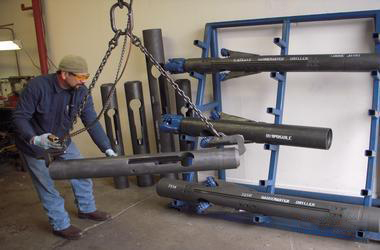 Proper underreamer selection and application begin with a well-engineered drilling program. Call Bakersfield Bit & Tool for all your drilling tools, undereamer and casing mill needs. Our trained and experienced sales force will be happy to assist you.